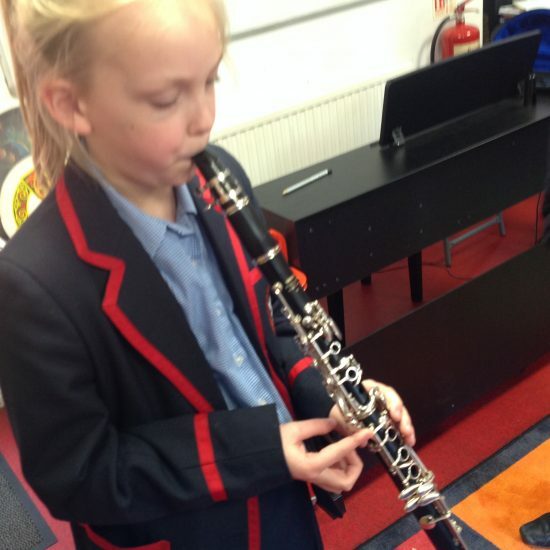 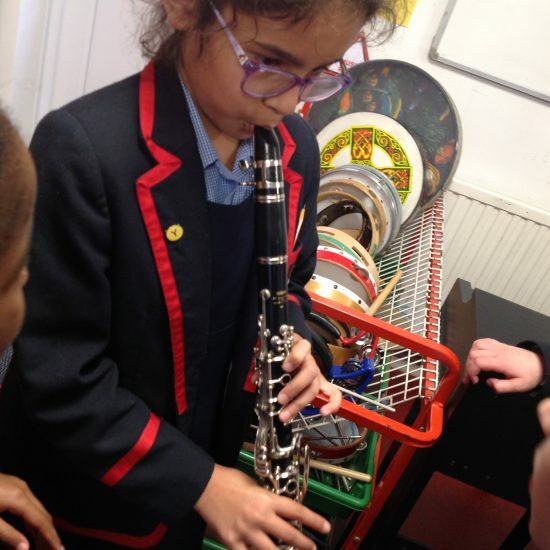 Following on from time learning about the instruments in the Orchestra, Year 3 have spent time on the Clarinet, Oboe, and Violin over the last 2 weeks. 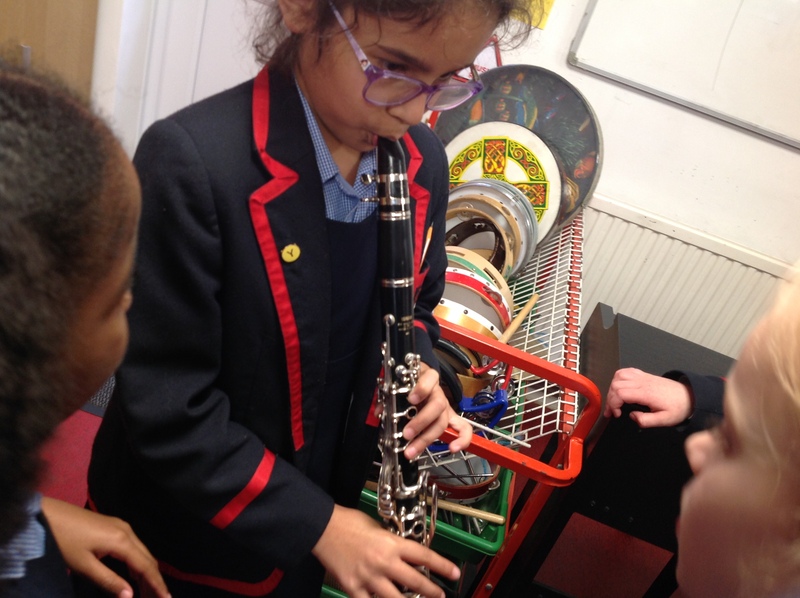 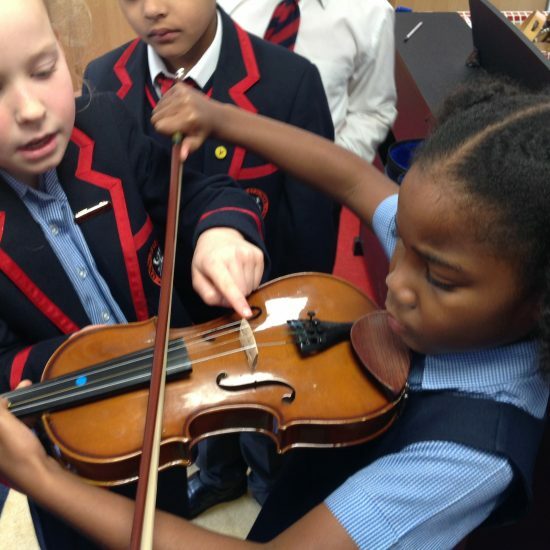 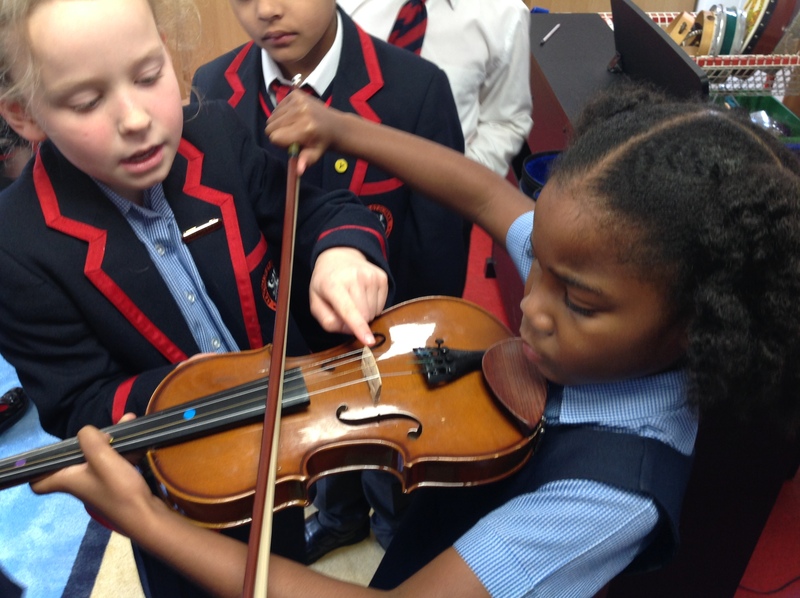 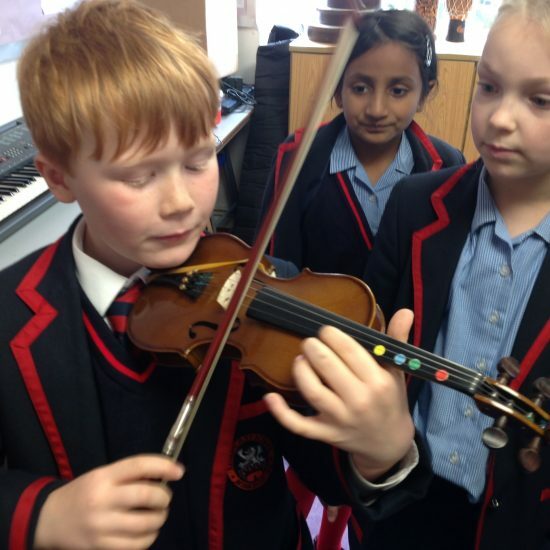 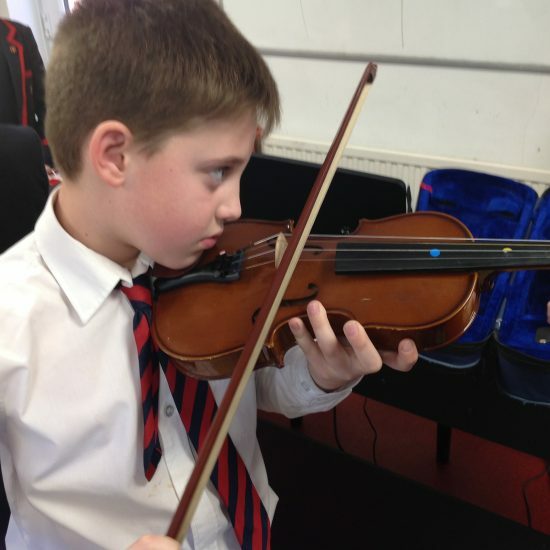 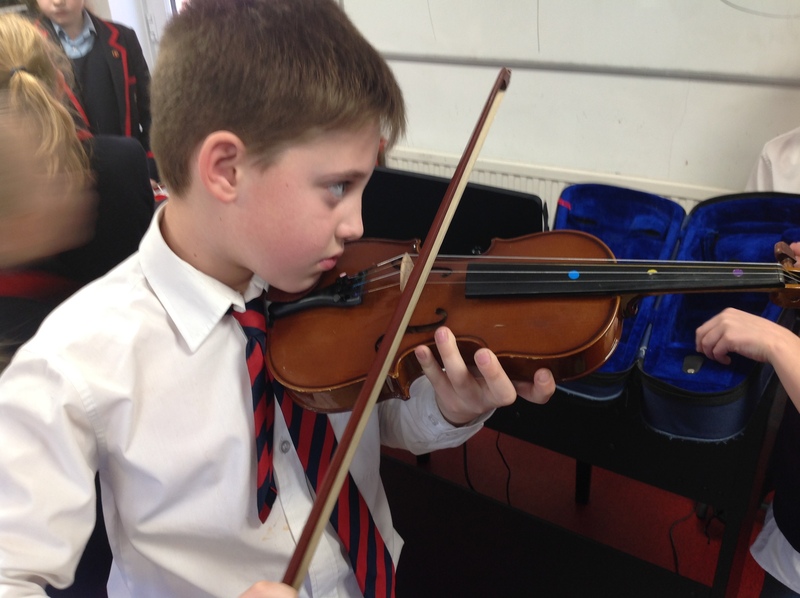 They learnt about which Instrument groups they are in, and their parts and functions. 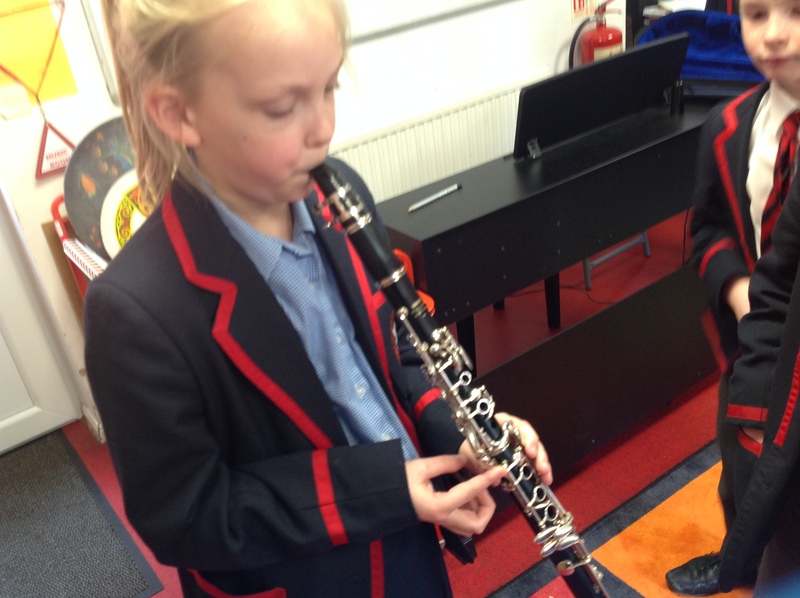 All the children had a go on both the Clarinet and Violins, showing the difference between plucking and bowing technique particularly well. 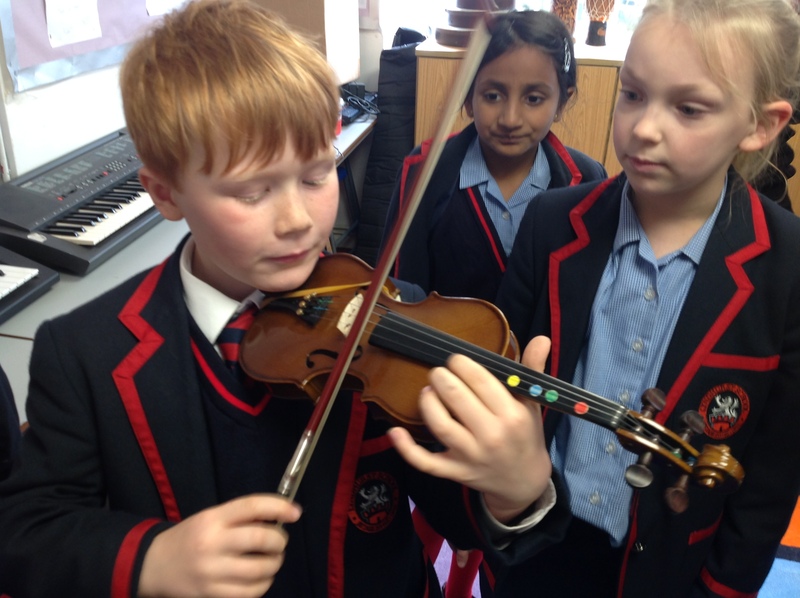 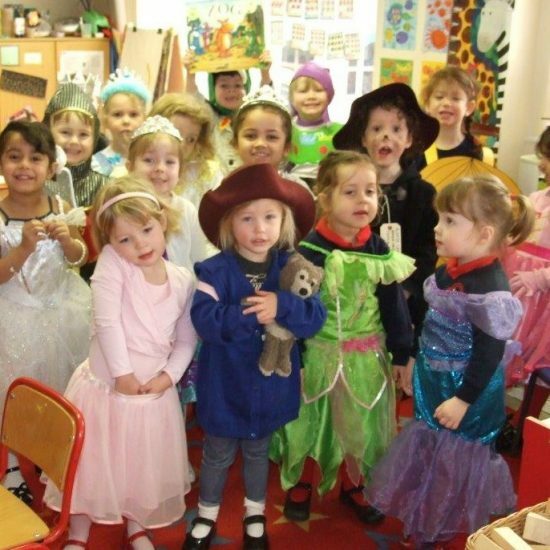 They all achieved some notes, and showed a steady hand, so their Music Teacher Mrs Peacock was very impressed!